Have you guys met Ron of Uptown Acorn yet? 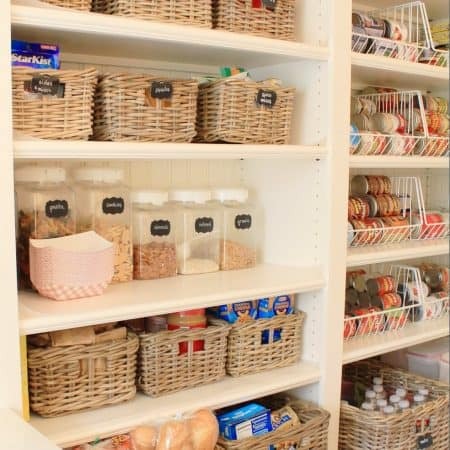 He is so fun – I always leave his blog with a smile on my face! 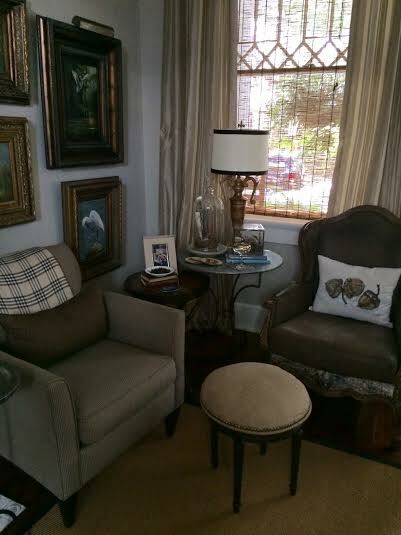 Today Ron is here to share a favorite corner of his home, where it sounds like life is truly enjoyed! Good morning, y’all! I am Ron from the blog Uptown Acorn. 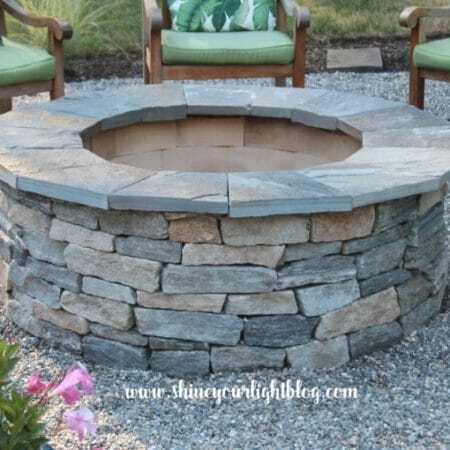 I was excited when Lisa recently invited me to share my favorite spot in her “Shine Home Love” series. 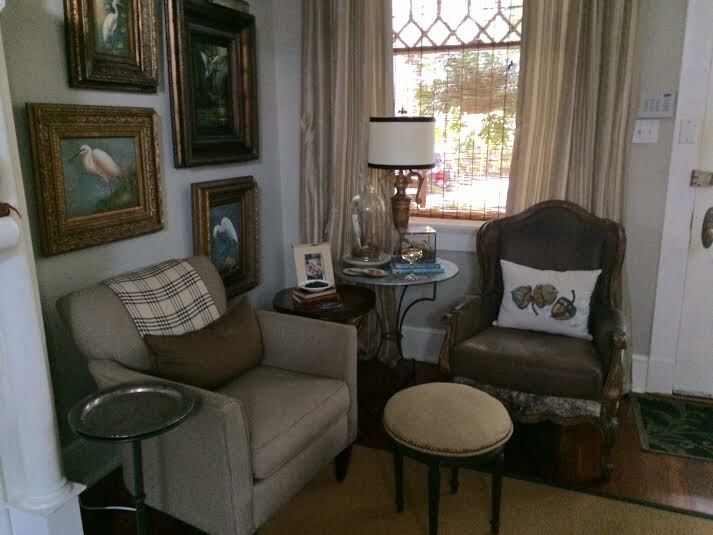 As soon as she asked me to participate, I knew I was going to share my favorite chair in my favorite room, the parlor. 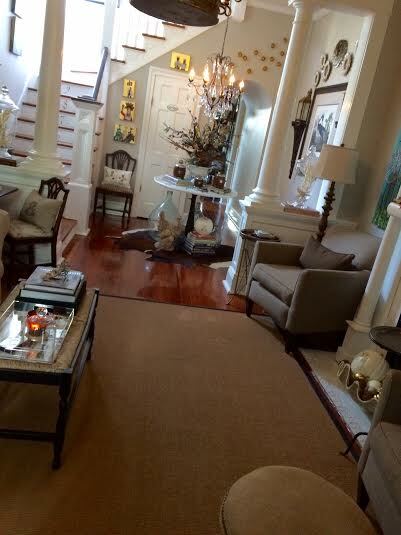 Living in an early 1900 Neoclassical New Orleans home, the front parlor is a room with great architectural accents. 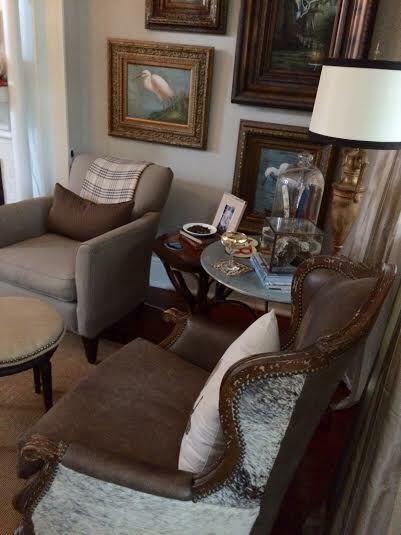 My favorite spot is in the front corner in my cowhide and leather French-inspired chair. J & I purchased this chair for our home in Atlanta from a dealer from North Carolina who had a booth at Scott’s Antique Market. 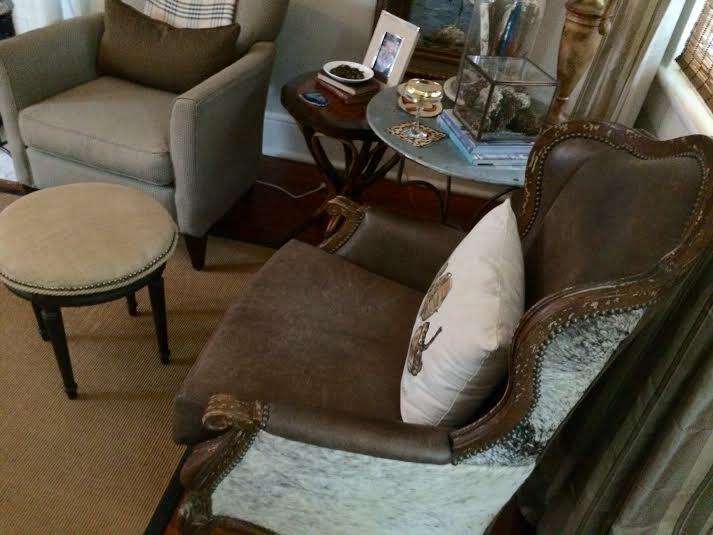 When we moved to our New Orleans home, I knew I wanted the chair in the parlor. In the front of the chair, a burlap covered and nail head trimmed wooden stool is a great footrest. 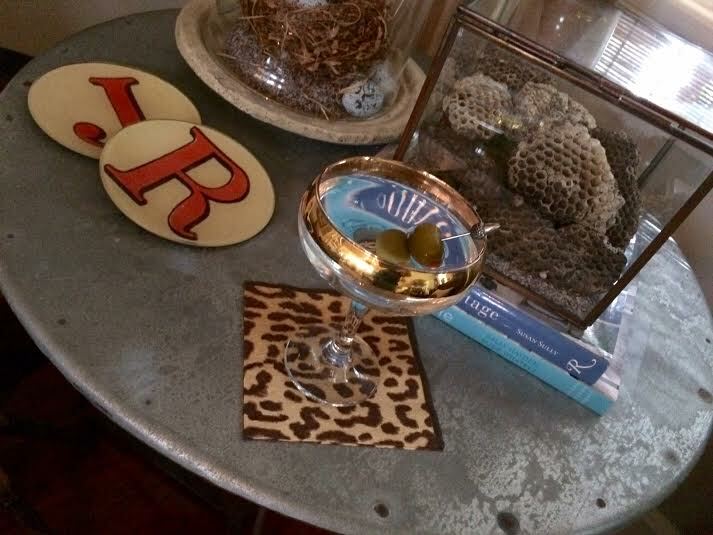 A zinc table topped with my fave John Derian letter plates, a glass box which changes with the seasons, and lamp is the perfect spot to rest my evening cocktail. 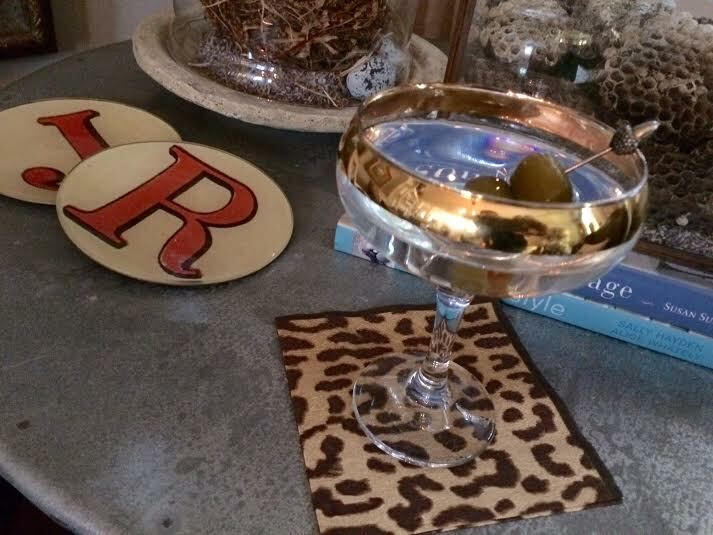 I love a vodka martini straight-up. 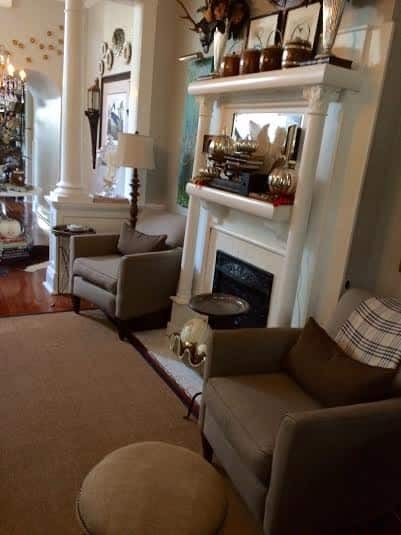 My perch from the chair gives me a perfect view to the mantle and the stair parlor. Guests can often be found sharing cocktails in this favorite spot of mine. We often refer to our good times as “parlor patter”. It is always a good time with friends. Laissez les bon temps rouler! Thanks Lisa for allowing me to share my favorite spot with you. 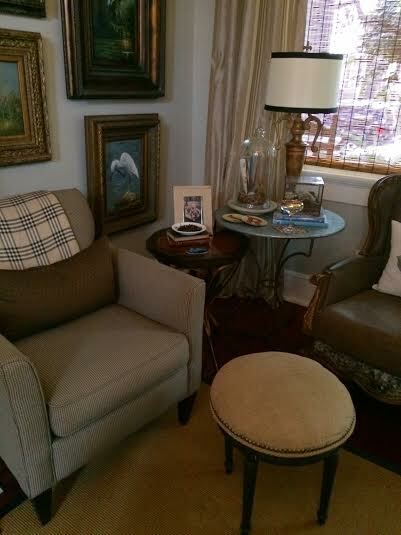 Thanks Ron for sharing this fabulous and personality-filled corner of your home! Who is in for a road trip to visit Ron in New Orleans with me????? How fun would that be? 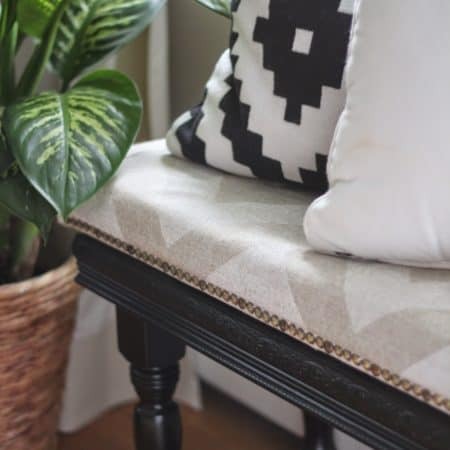 You have a gorgeous and welcoming home! I truly enjoyed looking at it! Love your entire home Ron, but I agree, that chair and corner there is tempting! I love that leather chair! The cowhide detail on the wings just makes it! 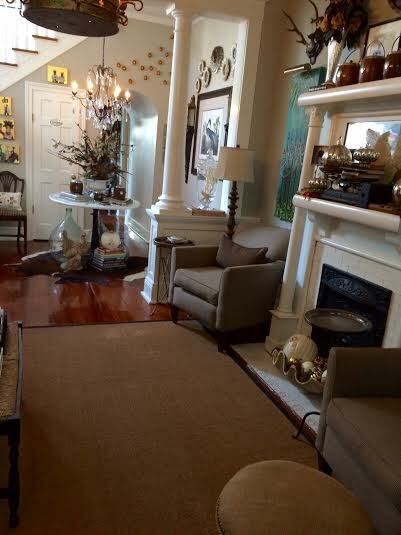 Ron has such a beautiful home, pretty things and the talent to put it all together in a stunning way. Thanks for featuring him. 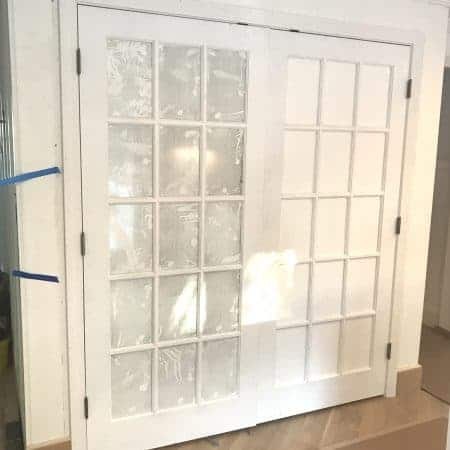 Thanks for featuring my home last week. Have a happy Thanksgiving week, Lisa.